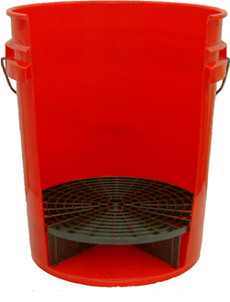 Home > Wolfgang Product Line > Wolfgang 5 Gallon Wash Bucket Combo Available in red, clear and black. 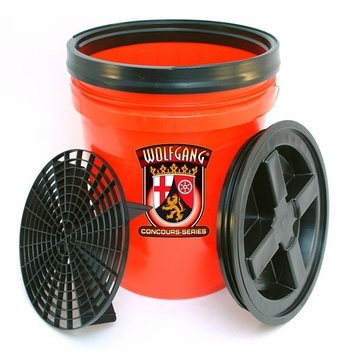 The Wolfgang 5 Gallon Grit Guard Wash Bucket Combo includes the swirl-preventing bucket system and the Gamma Seal Lid. Just add your favorite lubricating car shampoo and you’ve got the makings of a safe, swirl-free wash. The Wolfgang 5 Gallon Wash Bucket Combo includes the revolutionary Grit Guard Insert, a radial grid that traps dirt at the bottom of the wash bucket. It serves as a wash board to agitate and release dirt from the mitt. This process prevents dirt removed from the paint from transferring back to the vehicle from the dirty wash water. 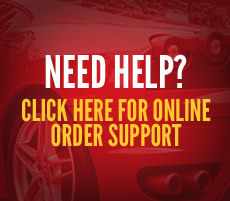 This smart system improves your odds of washing your vehicle without producing swirls. Protect your vehicle from wash-induced swirls with the Wolfgang 5 Gallon Wash Bucket Combo. The Grit Guard Insert and the Gamma Seal Lid make this the most functional wash bucket you can buy. Add a second Grit Guard for even more paint protection! Stack two Grit Guards in one bucket. The stacked grids stand 5” above the bottom of the bucket and provide more clearance between the clean water at the top and the dirty water at the bottom to lessen the likelihood that a stray grain of sand will find its way to the top. Scroll to the bottom of the page for a special price on this bucket with two Grit Guards!